Our ranking process is very comprehensive. 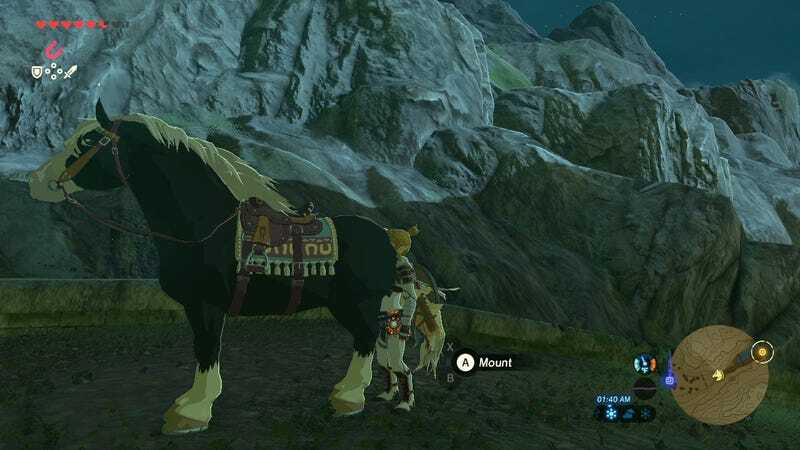 This is a definitive, final, and absolute ranking of The Legend of Zelda: Breath of the Wild’s animals. All animals included in the compendium are on the list. You are entitled to your opinion, but it is definitely wrong. 78. Woodland Boar - More like woodland bore, right? 77. Restless Cricket - Always around, and almost always fly away before they can be caught. The source of all cricket hate. 75. Mountain Goat - No animal in this game wants to kill you more. 58. Maraudo Wolf - Not good boys. 51. Cold-Footed Wolf - Name sounds like they’re complaining. Wussies. 45. Sneaky River Snail - Glowing is cool, but also, like, the least sneaky thing imaginable? 39. Hightail Lizard - Cool, but so annoying to catch. 38. Staminoka Bass - Fun to say. Sta-mi-NO-KA. 31. Eldin Ostrich - A really weird choice that mostly works. 27. Blupee - Free money, but also so creepy. A blupee or The Terminator? 25. Hearty Salmon - One of the handiest animals for cooking. 19. Stalhorse - Loses points for exploding. The Breath of the Grave of the Fireflies. 12. Grizzlemaw Bear - Why won’t Nintendo let me name my bear? 11. Patricia (Riju’s Sand Seal) - Seal puns so good Nintendo had to hold them back. 9. Cucco - Deadly creatures, as always. 8. Fireproof Lizard - Bros.
7. Islander Hawk - The chillest animal in Zelda is figuratively and literally above everything that goes down in this game. 5. Hot-Footed Frog - I’m a big frog guy. 3. Hylian Retriever - All good boys. 2. Great-Horned Rhinoceros - Super weird and super cool.